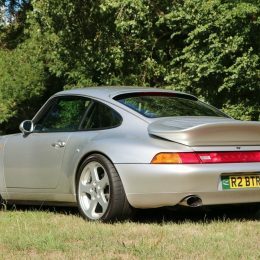 Two very special RUF sports cars will be on offer in Silverstone Auctions Porsche Sale in association with Porsche Club GB. 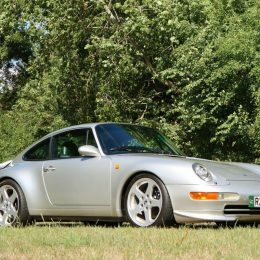 A rare 1998 RUF BTR2 993 Turbo and a 2002 RUF RTurbo used by the manufacturer for the Nurburgring press video will be on offer at the Dallas Burston Polo Club on 28th September. 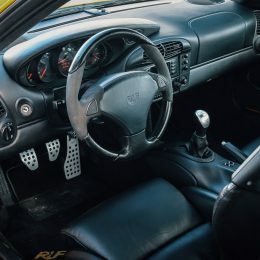 The 2002 RUF RTurbo on offer is an original factory press car and featured in the promotional video ‘RUF RTurbo Nurburgring Lap’ and is also featured on the cover of Marc Bonger’s book ‘Porsche and RUF Sportscars’. This RTurbo has a 3.6 litre flat-six engine producing 550BHP and 575lb/ft of torque, a six-speed manual gearbox and four-wheel-drive. 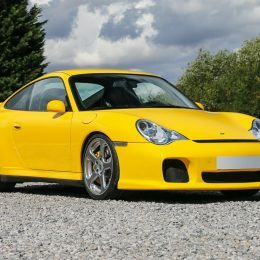 Estimated at £180,000 to £220,000, this RTurbo retains its original Speed Yellow paintwork with a black leather interior. As part of a private collection for the past few years, the car has been incredibly well cared for, covering only 48,197km (29,948 miles). “Very few RUFs on the market can claim this heritage and provenance. 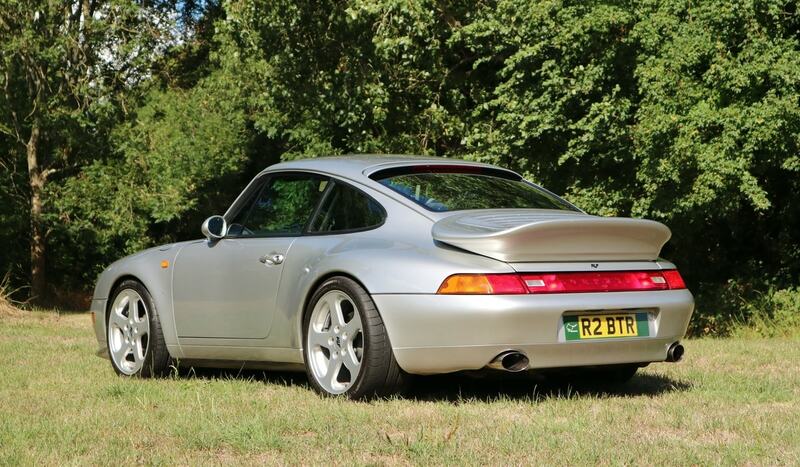 The RTurbo retains its incredible performance and subtle looks and is a fantastic opportunity to purchase a piece of RUFs history at the Porsche Sale,” Harry says. One of only five right-hand drive cars in existence, the 1998 BTR2 993 Turbo on offer at the sale is an incredibly rare machine. Only 15 BTR2 coupes were built in total and this one owner car presents a highly attractive proposition. 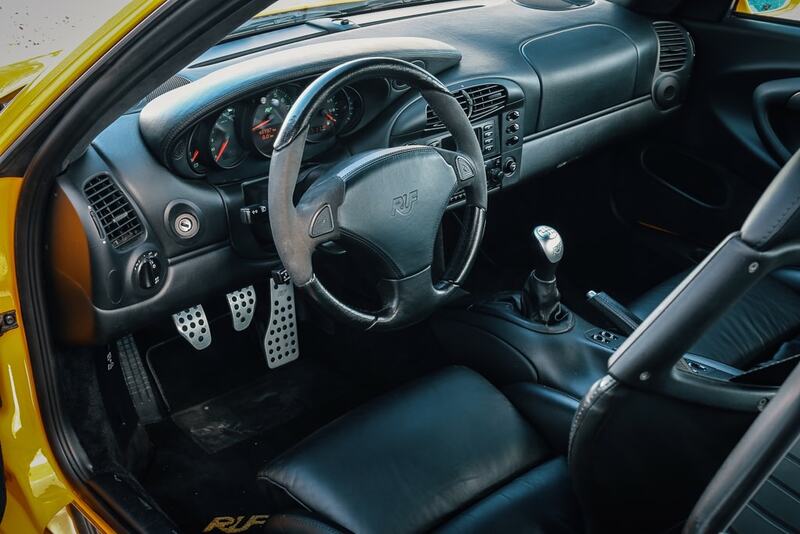 Estimated at £150,000 to £200,000 this very special car was built to our vendors very exacting specification including the addition of an intergrated roll cage and EKS electronic clutch system. 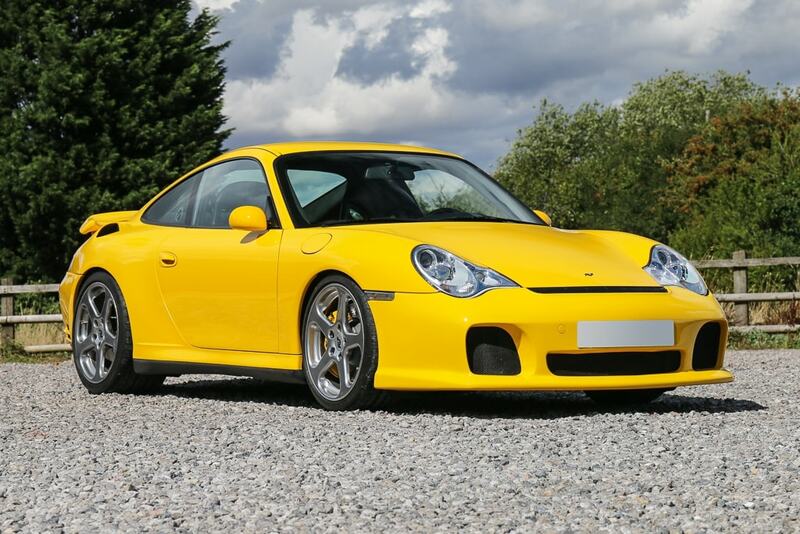 The car has been thoroughly serviced throughout its life, always returning to the RUF factory for servicing every 12,000 miles, whilst interim and minor works have been carried out by OPC and Porsche specialist workshops. Powered by a 3.6 litre flat-six, the BTR2 produces 420BHP, is capable of 0 to 60MPH in just 4.1 seconds and can go on to a top speed of 191MPH. The aerodynamics, suspension, wheels and brakes were all specially developed for the BTR2. Finished in Arctic Silver with a Charcoal leather interior, this classic RUF-made car combines a purposeful if discreet appearance with exceptional engineering and ballistic performance, truly not one to miss. “This is a highly exclusive opportunity. RUFs are already rare and this incredibly special example is one of only five in the world. A car this well cared for makes this a truly unmissable chance,” concludes Harry. 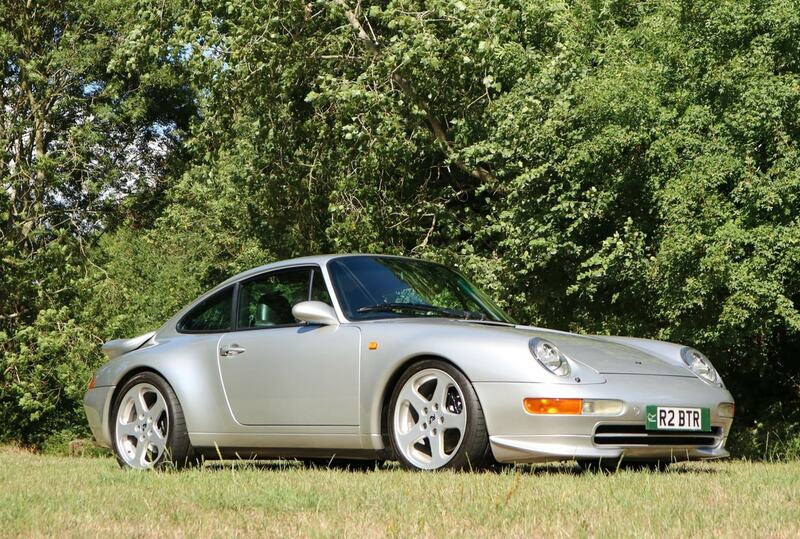 For more information on the RUFs and the rest of the Porsche Sale in association with Porsche Club GB please visit: http://www.silverstoneauctions.com/the-porsche-sale-2018/view_lots/pn/all.